Hospital Birth Class- Prepare for an amazing hospital birth. Birth Boot Camp wants to help you prepare for an AMAZING hospital birth experience. 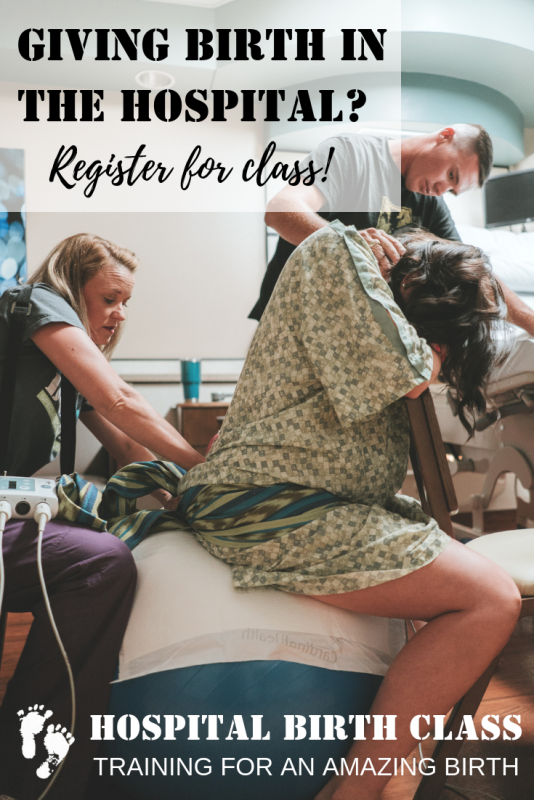 Our Hospital Birth Class is specifically designed for those planning a hospital birth who want to be informed and able to navigate their birthplace. Communication, labor tools, and knowledge specific to the hospital birth experience can help you be empowered for your birth. What Do Contractions Feel Like? Is this It? What now? You will be prepared for an amazing hospital birth. Along with your class comes an incredible workbook to help you prepare and learn outside of class. Check out this sneak peek of our incredible materials, created with you in mind. The online baby class option gives you and your partner the flexibility of watching on your own schedule and the ability to pause and discuss as questions arise. It’s perfect for the modern, busy couple. You can find our online hospital birth class here. Our childbirth educators are incredible and you can find them all over the country. You’ll love learning directly from them and be gaining the camaraderie of others in your class. They have a fabulous level of knowledge and know your birth community. Your birth matters. Your family matters. Your partner matters. You matter. We are thrilled to help you prepare for an incredible hospital birth experience. May you have an amazing hospital birth and an amazing hospital birth class!